Previous editions of this For Dummies guide have sold more 650,000 copies. Richly illustrated in full color, this edition covers all the updates Photoshop CS5, the gold standard for image-editing programs. Used by professional photographers, graphic designers, and web designers as well as hobbyists, Photoshop has more than four million users worldwide. 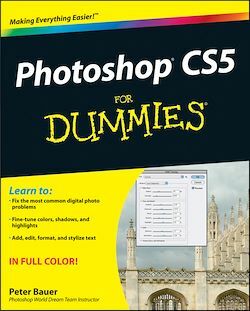 Photoshop CS5 For Dummies helps both amateur and professional Photoshop users take advantage of all the program has to offer.